How do I hire a private lifeguard? You can either book online here, use the contact form on our contact page, email us at lloyd@aquassurance.com, or call us at (786)694-2550. Can I book your services online? Yes! You can book online quickly and easily here. How much does it cost to hire a private lifeguard? To inquire about pricing you can either call us, email us, or use the contact form on our contact page. Pricing depends on the location of the event, as well as the number of guests. How many kids can be supervised per lifeguard? We recommend that there be 20-25 children per lifeguard, depending on their swimming abilities. Do I need to provide anything for the lifeguard to use? No. All lifeguards come equipped with everything they need to keep your guests safe, including a rescue tube and first aid kit. All you have to do is sit back and relax. How much notice is needed before booking a lifeguard? We prefer a one to two weeks notice, but we are usually able to accommodate on a few hours notice. Unlike similar companies, we do not charge a rush fee! How old are the lifeguards and how much experience do they have? All of guards are at least 18 years old and have at least two years of experience, including work in both public and private pools. Additionally, most of our lifeguards have participated in varsity swimming and water polo during their four years in high school. We can send lifeguards and instructors anywhere in South Florida and San Diego, but if you are unsure, you can contact us and we’ll let you know. Can you provide lifeguards for long term jobs? Yes! We provide long term lifeguard services for several pools all over Miami. 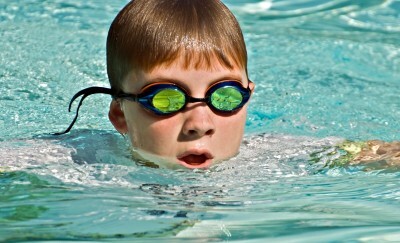 We also provide guards and swim instructors for summer camps. What else do I need to throw a pool party? Other than hiring a lifeguard, there’s a lot you can do to make sure your event is the best and most fun possible. Check out this site for pool party essentials and supplies.